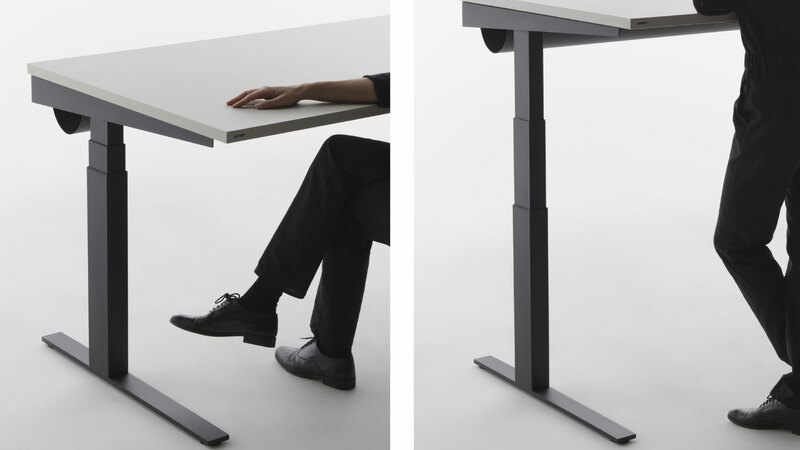 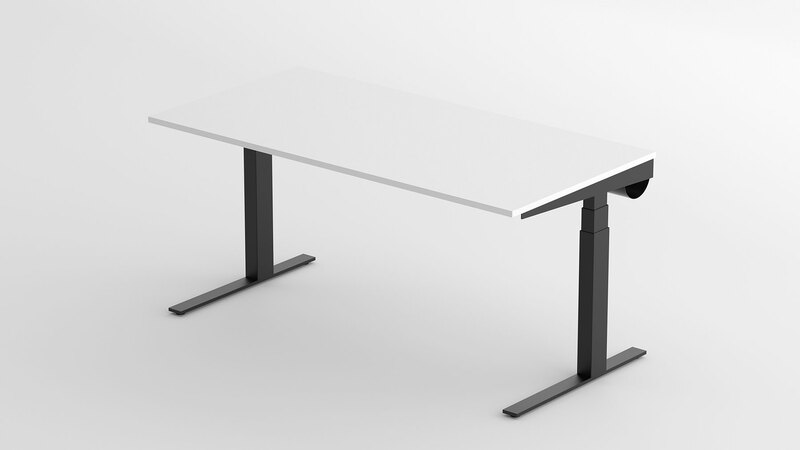 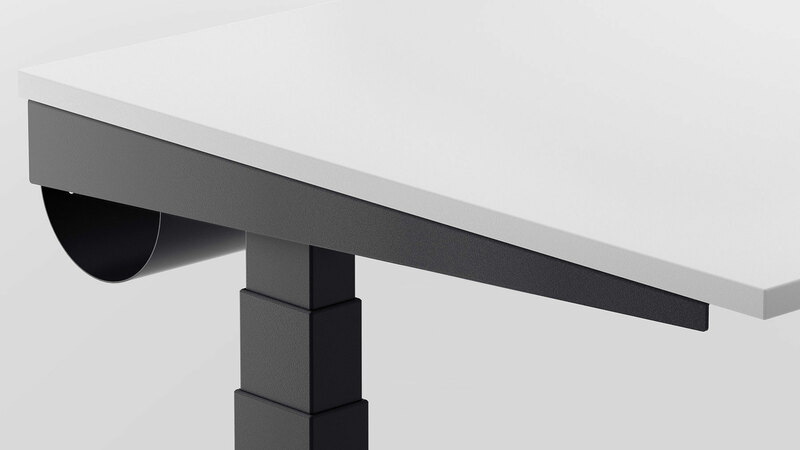 The motorised Sit-to-Stand desk steno impresses with a distinct silhouette made of a flat foot, round cable tray and a seemingly wedge-shaped worktop. 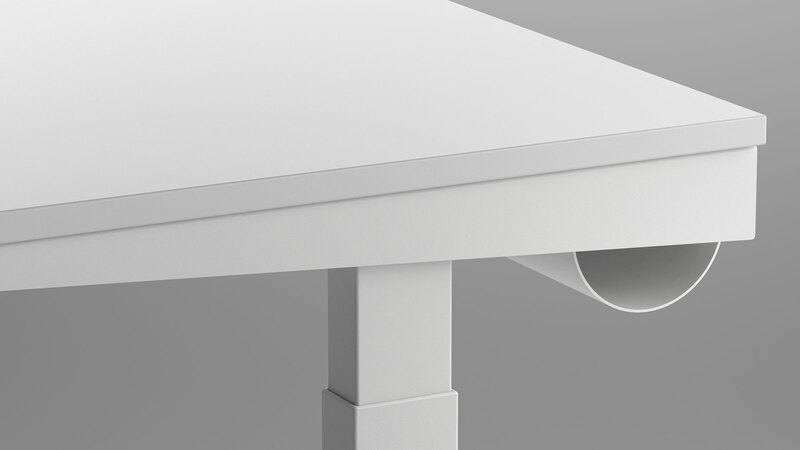 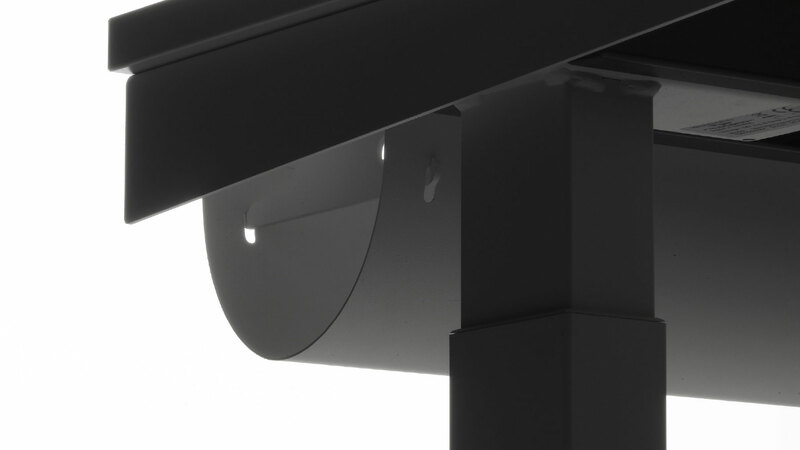 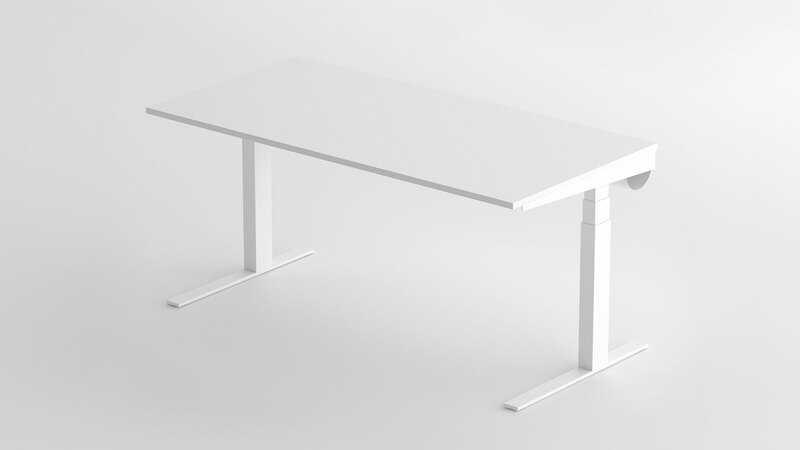 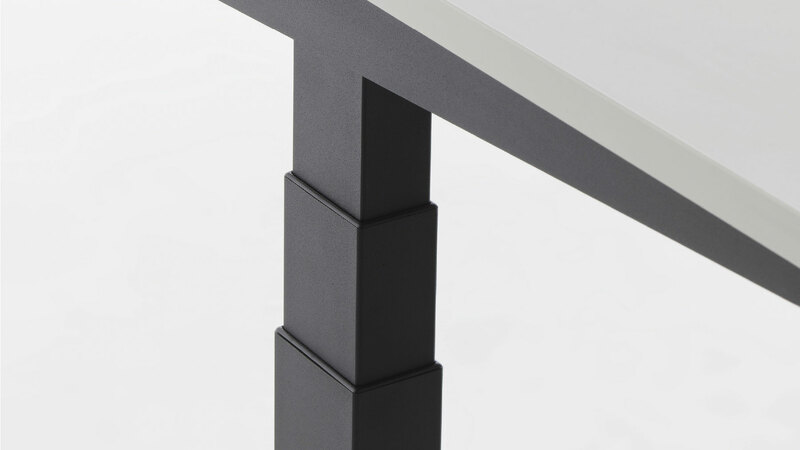 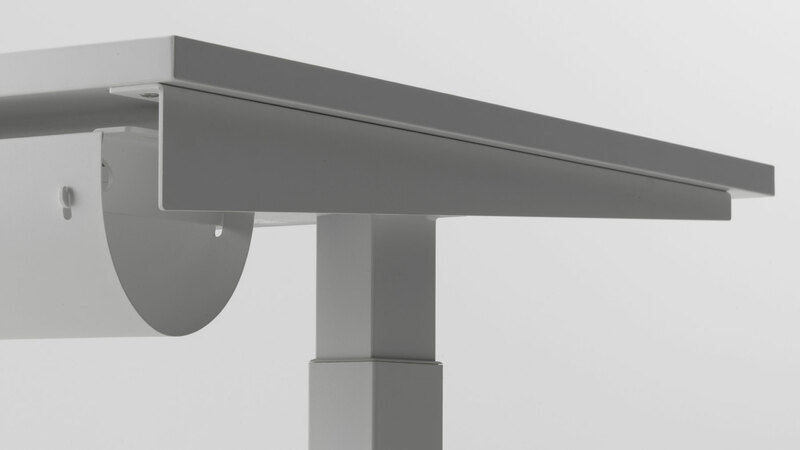 Sloping side brackets conceal the technology and substructure. 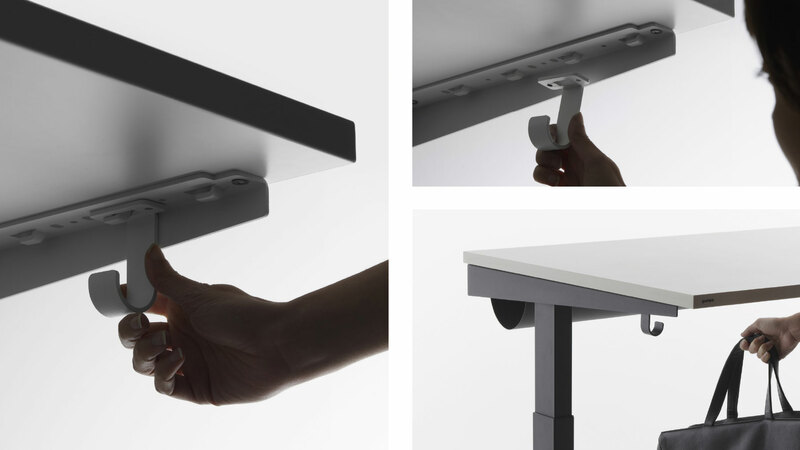 The cable tray, screening walls and accessories are easy to attach. 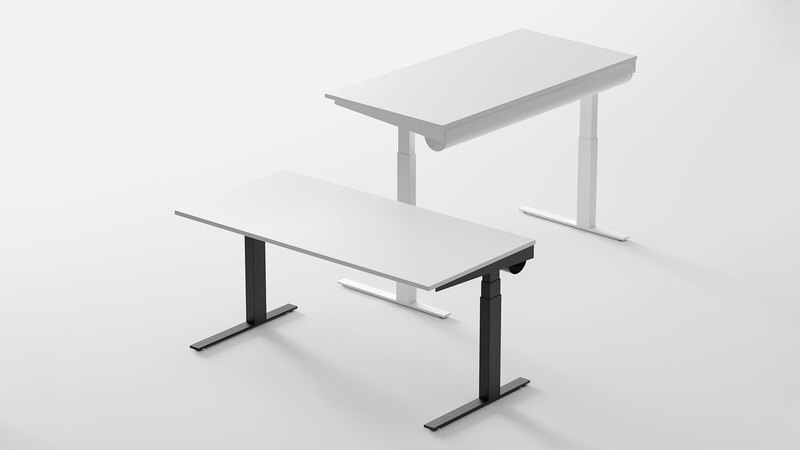 steno makes desk work more ergonomic because you can work in both a seated or standing position.